Did you know that you can order ONLINE from me anytime 24/7? you will also receive a free gift from me at the end of the month. 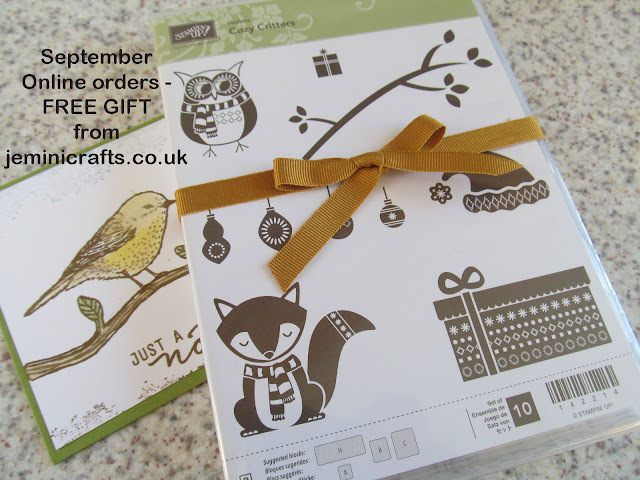 Last month all my customers who ordered received this fabulous stamp set, Cosy Critters. The stamp set is worth £14.00 and features 10 fun images. 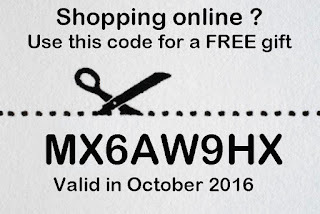 A new code is generated every month, you can use the same code multiple times*. Just check my website before you order. * P+P of £4.95 applies to all orders, regardless of size.